When the property manager at Caroline Chisholm Catholic College retired in April, Principal Marco DiCesare outsourced the property maintenance and cleaning team management to Danihers Facility Management. 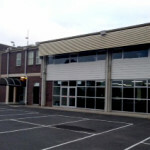 Marco and his team thought long and hard about employing within, but eventually decided to trial a different business model, outsourcing to a specialist company in Danihers. We were very grateful for the opportunity and the Danihers team arrived at the college with an ambitious term break program, which was developed in consultation with Marco to meet the college’s immediate needs. 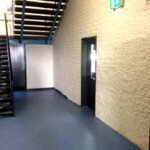 We completed large-scale painting of stairwells, halls and doorways; repaired cracked vinyl flooring and walls; restored all outdoor chairs; steam cleaned carpets in high-use areas and cleaned key areas of windows around the college. The results were outstanding and two weeks later teachers and students returned to a college that had been totally transformed. Caroline Chisholm Catholic College Principal, Marco DeCesare, reported that staff, students and parents were amazed by the improvements at the college since Danihers came on board. “Working with Danihers has enabled us to focus on the real needs of Caroline Chisholm Catholic College with regard to our ongoing maintenance issues and resource management,” he said. 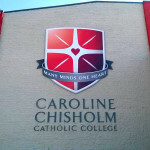 Caroline Chisholm Catholic College is a comprehensive co-education school set across two campuses in Melbourne’s western suburbs. Many of the facilities were built in the 1950s, 60s and 70s when the original schools – Christ the King College, St. John’s College and Chisholm College – were established. 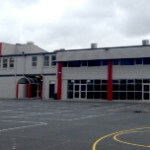 The three schools combined in 1997 to form the Caroline Chisholm Catholic College. 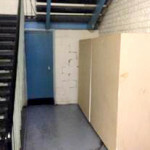 Since April, Danihers has also pressure cleaned areas to remove mould and grime, replaced the matting in key entrances and started an extensive project to paint key external walls. 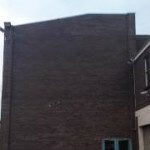 The team has also refurbished an unused area of the college to create a differential learning centre, and developed a long-term maintenance area to provide extra storage for the college. An on-site Danihers facility manager has been deployed full-time at the site to manage ongoing projects and oversee daily maintenance and cleaning requests. “As a company, Danihers have provided us with timely, professional guidance that has given us the confidence to address both our short term concerns, as well as plan with a clear vision of meeting the needs of the college in the future,” Marco said.